Homeland Security Adviser Tom Bossert is leaving the Trump administration, the White House announced on Tuesday. Bossert did not resign, CBS News' Margaret Brennan reports, but was rather pushed out. Although widely considered effective in his duties, Bosset's portfolio overlapped with that of former National Security Adviser H.R. McMaster's, causing the two to compete. The arrival of John Bolton as the new national security adviser on Monday triggered the decision to remove Bossert. It is unclear whether Bossert's departure was requested by Bolton or if this is a restructuring of the job. No successor has been named. "The President is grateful for Tom's commitment to the safety and security of our great country," White House Press Secretary Sarah Sanders said in a statement. "Tom led the White House's efforts to protect the homeland from terrorist threats, strengthen our cyber defenses, and respond to an unprecedented series of natural disasters. President Trump thanks him for his patriotic service and wishes him well." Bossert had been a high-profile member of the administration who appeared on television with some frequency. On Sunday, he appeared on ABC's "This Week" to discuss the possibility of U.S. strikes against the Syria in response to this weekend's suspected chemical weapons attack. 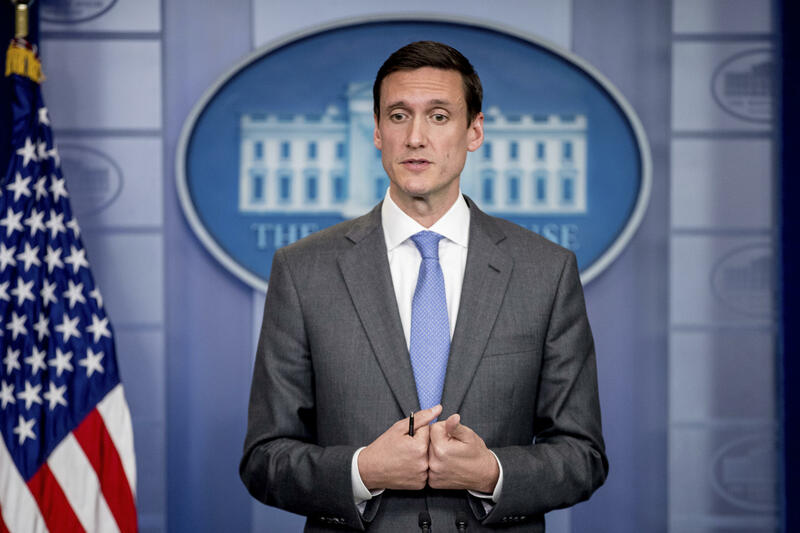 On the program, Bossert hinted at the possibility of military strikes against Bashar al-Assad's government, saying that the U.S. "wouldn't take anything off the table." Bossert also spoke at the Threat Conference in Sea Island, Georgia, on Monday, in which he discussed the Trump administration. "You won't believe this, but this White House seems to function just about the same as every other White House," he said at the conference. "At the end of the day, the only thing that creates instability or the perception of it is, a, the coverage, and b, the turnover." Not all Republicans were pleased with Bossert's exit. Jamil N. Jaffer, former chief counsel and senior adviser to the Senate Foreign Relations Committee and associate counsel to former President George W. Bush, called the move "yet another unforced error." "Of course the president is entitled to pick his closest advisors, particularly in the White House and on national security matters, and he's entitled to lean on his new national security advisor's recommendations, but if the recent reporting is accurate, forcing Tom Bossert out is a huge mistake," Jaffer said in a statement. "Tom is a very smart and highly skilled national security leader who has been a beacon of principle, capability, and discipline in an otherwise chaotic White House. Pushing Tom out deprives the President of critically important and skilled advice on key counterterrorism, homeland security, and cybersecurity matters. Moreover, letting Bossert go at a time of heightened threats and when there is significant churn on the overall national security team is a yet another unforced error."